UPDATE: You can purchase a more screen-accurate version here. 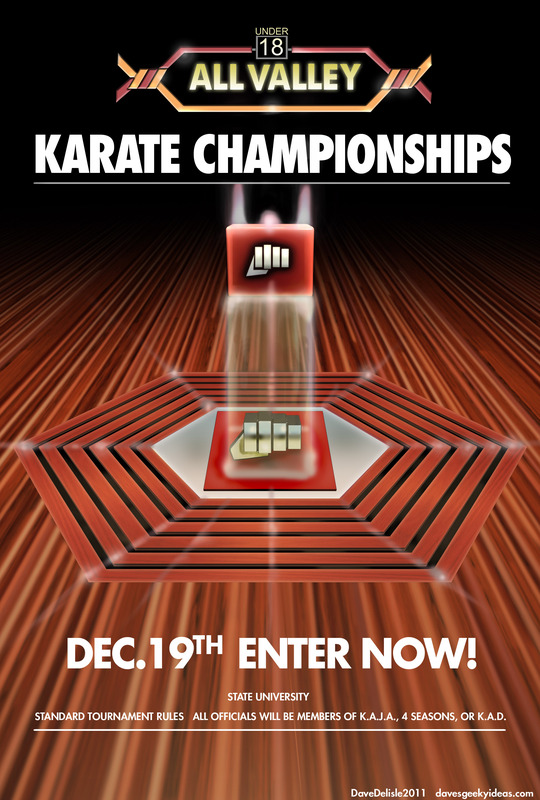 A replica of the poster seen in the Karate Kid, hanging in the Kobra Kai dojo. It’s a good thing it was on the wall, otherwise the plot would have been completely different. Every time they announce injuries in the NHL as “upper/lower body injury”, I think it’s because of this tournament. You don’t want coaches prompting their players to attack injured opponents (“Sweep the leg!”). Though I have a feeling it happens. This is from the original 1984 film, not that remake from last year, in case you kids are confused. Darn kids. Actually, this poster has been available for a while. Artist Eric Camper recreated for Basement Arcade GrafX. My post was dated July 23, 2011. Your art is posted September 22, 2011.